Atlantic Shopping / Blog /	What is a Japandi Interior? You might be thinking that Japandi sounds like a fictional character out of a movie or that this is part of a joke for April Fool's Day. Well, it’s not! Japandi is a new trend in interior design that blends Scandinavian and Japanese style. 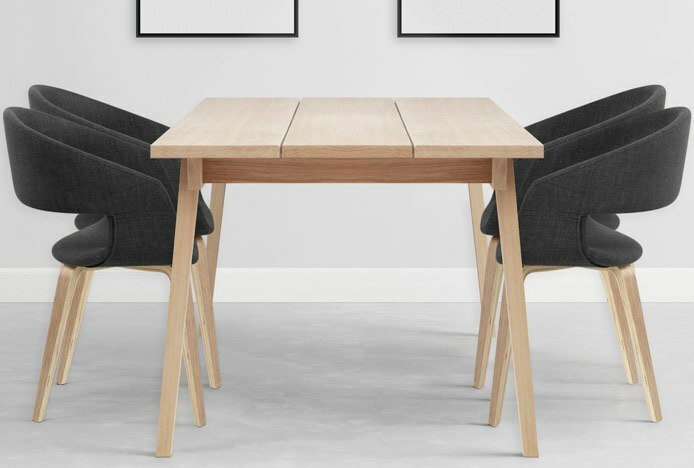 Also known as Scandinese or Japanordic, this trend celebrates the similarities and the differences between two very different parts of the world, and the result is surprisingly stylish. Minimalism is an essential element in both of these décor styles. 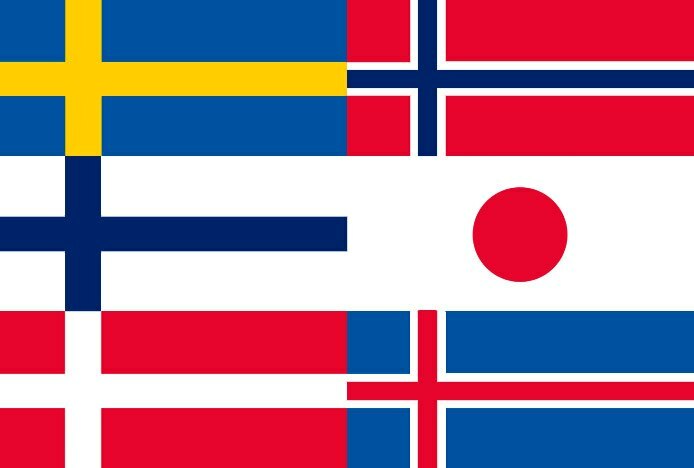 Whilst we are all familiar with Scandinavia’s clean-lined approach to design, the Japanese have a philosophy known as Wabi-Sabi, which celebrates the beauty in simplicity. Making the most of the natural surroundings and resources is also important. Both regions have vast forested areas so wood is an obvious material choice for building and furnishing. Not only that, the amount of natural light and natural views in the home are maximised too. Creating a living space with functionality is key. Harsh long winters mean that Scandinavians value practicality above decoration, whilst the Japanese choose functional items to cater to their usually small living space. For example, classic doors are replaced with sliding paper screens. There are of course some differences between the two and it’s these differences that, when combined, create the eclectic Japandi style. Below, we take look at the two styles individually and then discuss how to get this hybrid look in your interior. The white and light wood colour scheme is characteristically associated with Scandi style. This is because Scandinavians use paler colours in an effort to create a brighter living space during polar nights, but muted or pastel shades may also be used as accent colours. Wood is the main natural resource in Scandi homes, and it may even be given a white wash to lighten the space further. Rustic or weathered wood may be used on feature items, but furniture typically has modern clean lines to keep the simple minimalist look. Accessories have a softer cosy appeal, such as woollen blankets, fur rugs, and candles. But it’s worth noting that these seemingly decorative pieces still have a practical use – to give warmth or light! Nature is an incredibly important part of Japanese lifestyle, so their interiors take influence from the outdoors and tend to have a neutral earthy colour palette. There may also be some red, black, and white accents in keeping with traditional Japanese colours. Dark stained wood is often used for furniture, whilst light wood such as bamboo, rattan, and straw is used for floor mats, walls, and partition screens. The designs have traditional elegant shapes and keep clean simple lines but handcrafted items are also appreciated, and tend to be a little rough around the edges. The Japanese tend to have a utilitarian approach to interior accessories, choosing to display modest pieces such as a bowl or vase. Decorative items come in the form of the traditional hanging lantern pendant lights, patterned Shoji screens, and sculptural ornaments. 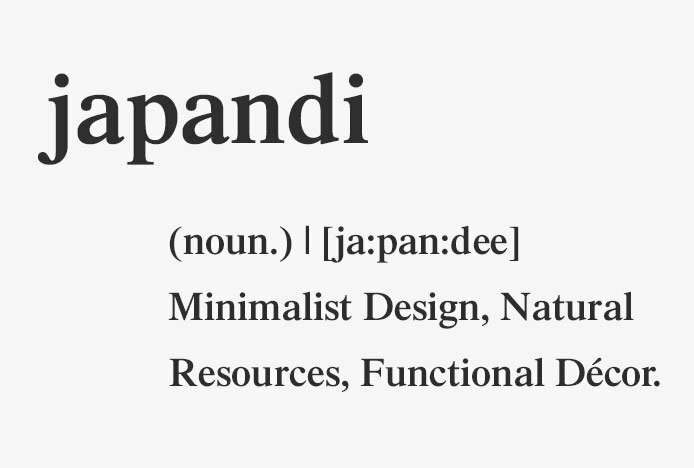 Looking at them separately, Scandinavian style has a more relaxed feel while Japanese style has a traditional and refined edge, so Japandi is about finding a balance between the two. Japandi provides a lot more choice when it comes to the colour scheme. Opt for muted colours that resonate with nature, this may be greens, greys, and browns, but you can also pick out pastel shades from the bright Scandi look. If you already have that classic white and bright space, you could update it with warmer colours and don’t be afraid to add black pieces in for a real contrast. Create even more contrast with the use of both light and dark wood in your interior. A subtle option would be oak flooring with rich walnut furniture throughout the space. For an eye-catching scene, a light wood dining table with contrasting wooden dining chairs will offset a Japandi room in style. 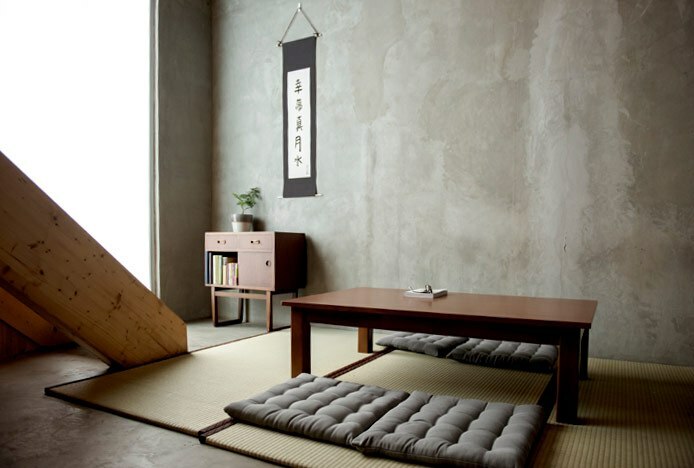 Japanese furniture is usually low to the ground to be closer to earth and nature, with floor cushions or legless chairs taking the place of dining chairs. 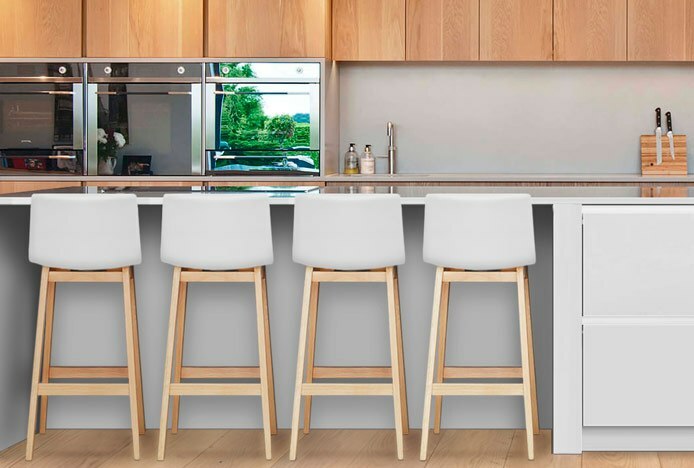 If that’s not for you, chairs like the Grafton (pictured below) and stools like Harper have predominantly wooden designs, with clean and elegant sweeping lines in a darker finish that fits the Japandi look perfectly. 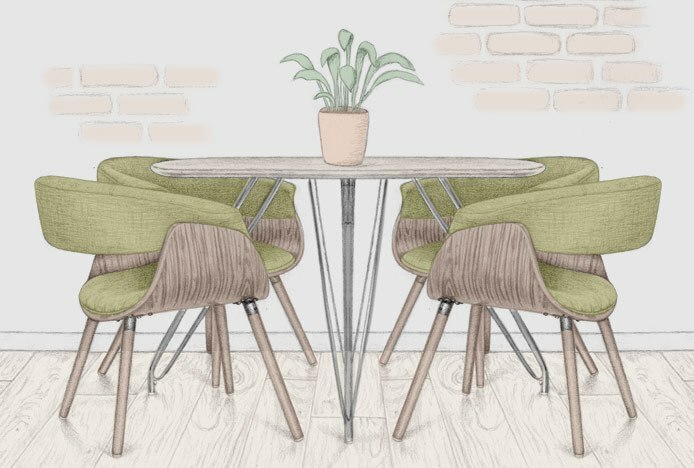 Alternatively, you could mix and match the seat colours on a light wood Scandi style piece such as the Drift Bar Stool. Decorating with greenery is another way to bring your home closer to nature. Tall potted trees and plants with deep green leaves rather than bold colourful flowers are ideal for a Japandi interior, particularly those with strong and striking forms that will draw attention. The solid and sleek lines of Japandi furniture reduce the need for elaborate décor details, so try to keep unnecessary accessories to a minimum. An arrangement of simple handcrafted ceramic bowls and pots or textured rugs and cushions will add functional yet fashionable detail. Every item in the room should have a purpose or place, and there should be a clear flowing path through the space. Overall, you want to create an ordered and balanced setting that is also comfortable and calming. You may find that the end result leans toward one style more than the other, depending on your preference. That’s the great thing about Japandi, it allows you to warm up a Scandi space or take a relaxed approach to Japanese style! How will you adopt this look in your home? Lagom is the next big trend for 2017, find out how to introduce it to your home..